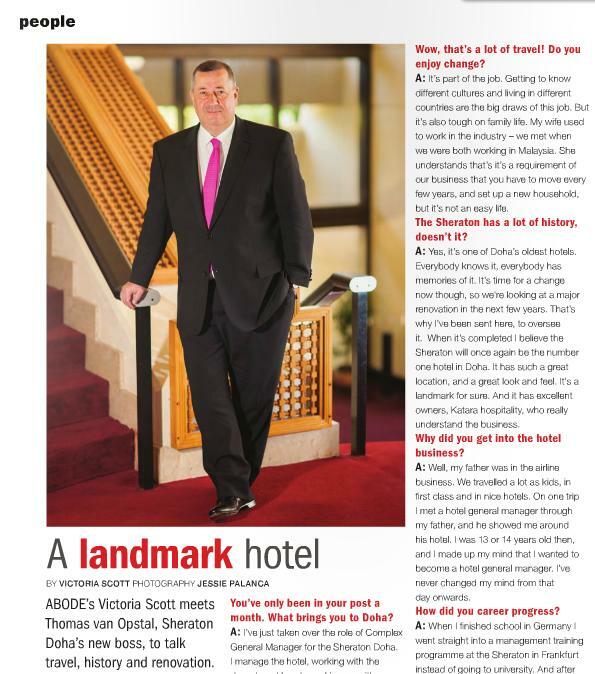 In this month’s Abode, I meet Thomas Van Opstal, the Sheraton Doha’s new manager. He’s here to oversee a complete overhaul of the landmark hotel. Click here to read the interview. 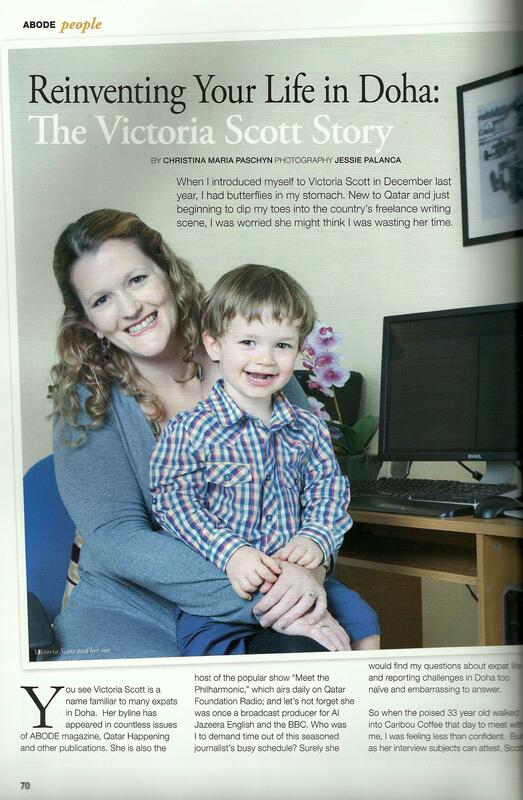 This month, I’m the subject of an article in Abode, written by the lovely (and very kind!) Christina Paschyn. Click here to read the article. 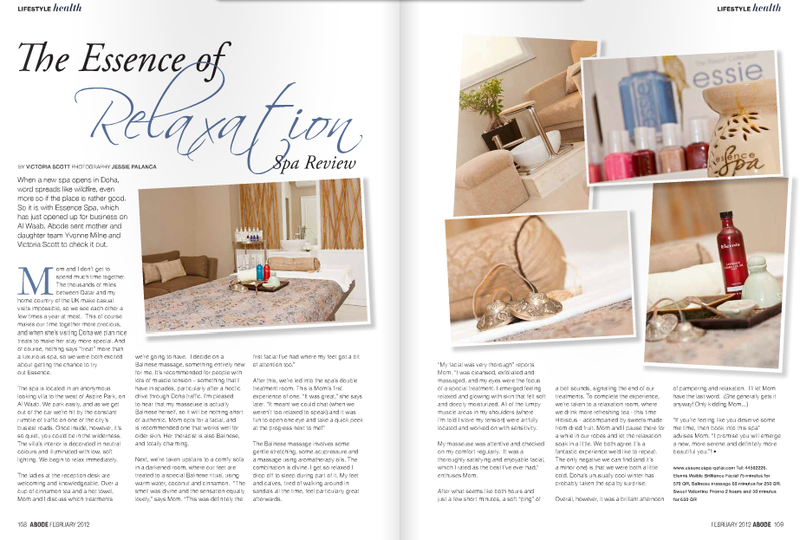 In this month’s Abode, Mum and I visit Doha’s Essence Spa for a spot of indulgence. Click here to read the article. 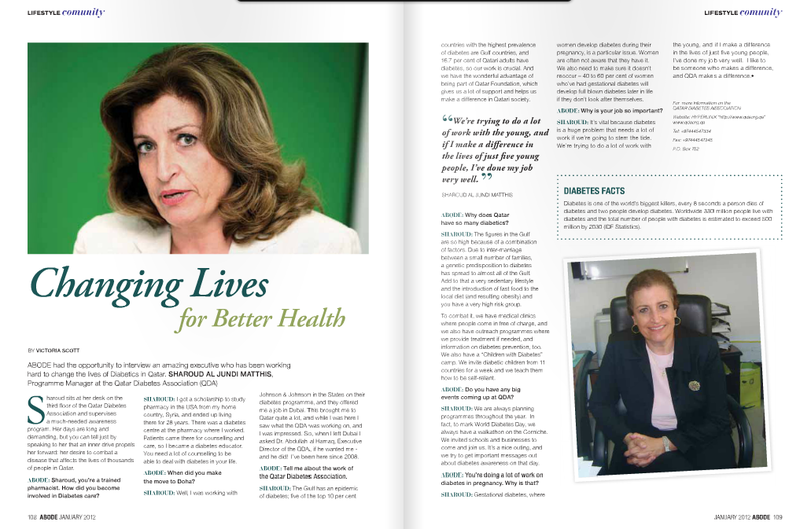 In this month’s Abode I meet Sharoud Matthis of the Qatar Diabetes Association. She’s working hard to stop the growth of diabetes cases in the country. Click here to read the article. 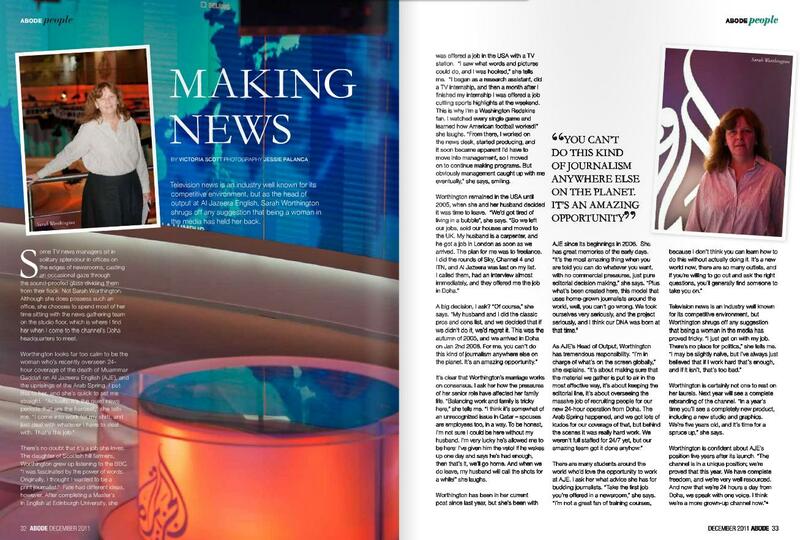 I meet Al Jazeera English’s Head of Output Sarah Worthington in this month’s Abode. Click here to read the article. 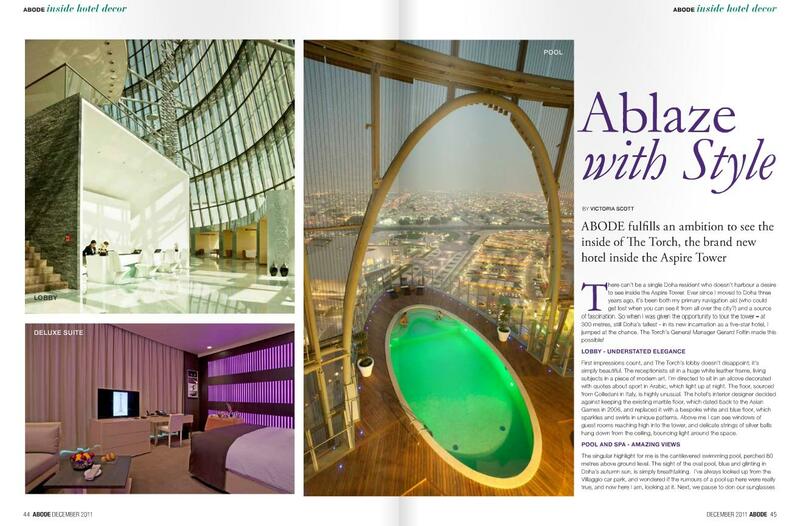 I take a tour around The Torch, the new 5* hotel inside the Aspire Tower, for this month’s Abode. It’s breathtaking. Click here to read the article. 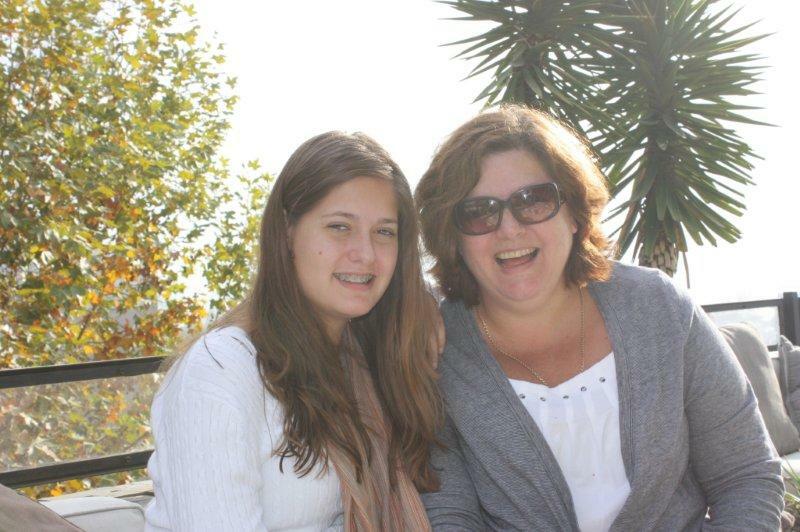 This month in Abode, I meet the Doha expat who’s fought off Breast Cancer once, and is now doing battle with it again. Inspiring. Click here to read the article. 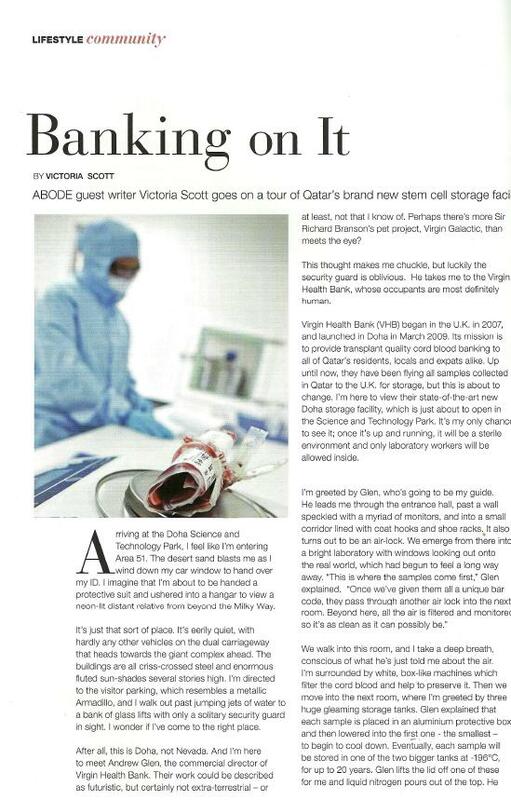 This month in Abode, I take a fascinating tour around Qatar’s brand new stem cell storage facility. You can download the PDF of the article here.